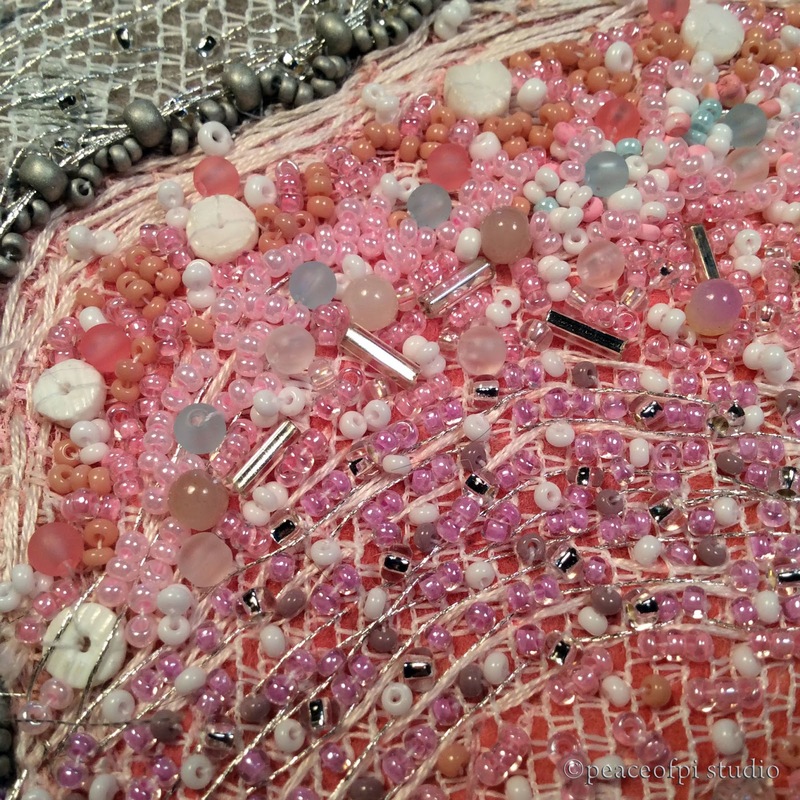 How many beads went into this art quilt? Plenty! 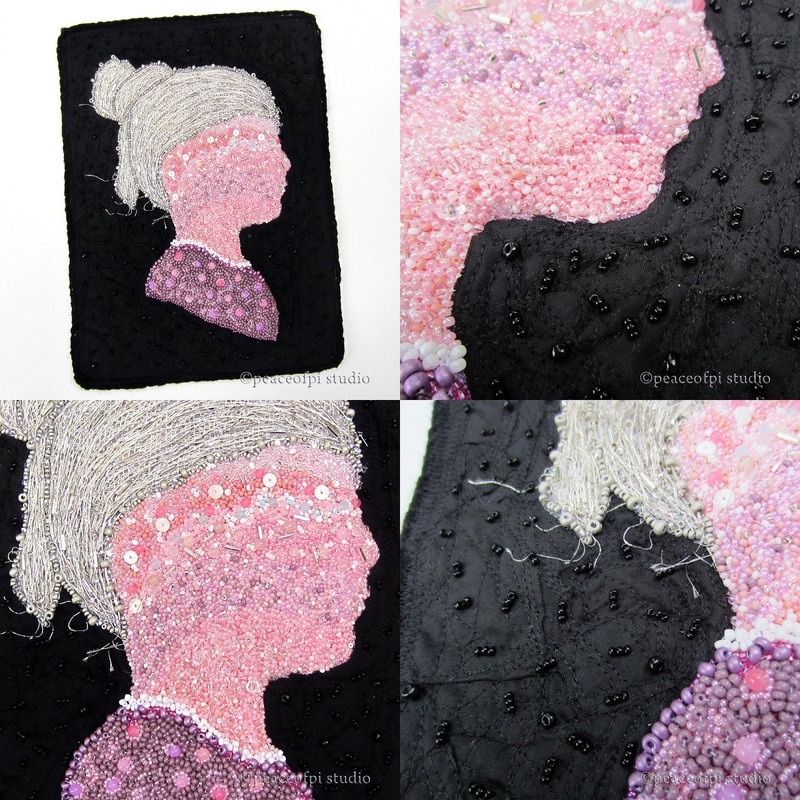 From the face in shades of pink, purple, silver, white and blue to the gray and silver beads in her granny hair and the black surround, there must be hundreds upon hundreds of individual beads in this piece. The background is comprised of torn pieces of black fabric collaged and stitched down, with frayed edges fully visible. She is a woman of age, imperfect and a little frayed while being a strong and beautiful silver sister. Even her metallic thread hair has a few stray pieces. 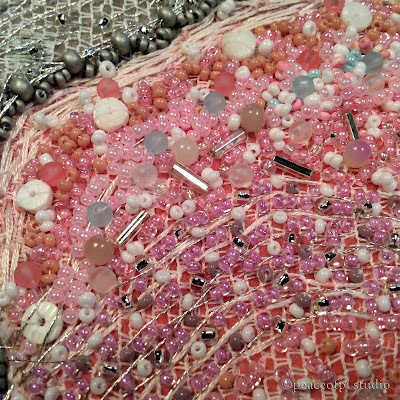 This in progress shot shows how the piece came together slowly, building from a background of fabric and wool that can't be seen in the completed silhouette. After all, there is more under the surface than can be seen on the outside. Stitched over days and weeks, completing this beaded face in profile has been a contemplative journey.